Electric vehicles play a key role in China’s plan to improve air quality and reduce CO2 emissions but, with the majority of China’s electricity still coming from coal-fired power plants, many question just how effective this strategy is. Now, researchers from Harvard University and Tsinghua University in Beijing found that private electric vehicles in China can have a positive effect on CO2 reduction if owners can be incentivized to slowly charge vehicles during off-peak hours, allowing for more effective use of wind-generated power. Quickly charging vehicles in the higher energy “fast mode”, on the other hand, can be counterproductive. Meanwhile, buses and taxis In China make a significant contribution to NOX emissions, a major precursor for air pollution. The team determined that electrifying the bus and taxi fleet offers the most effective option for improving air quality. The research is published in Nature Energy. 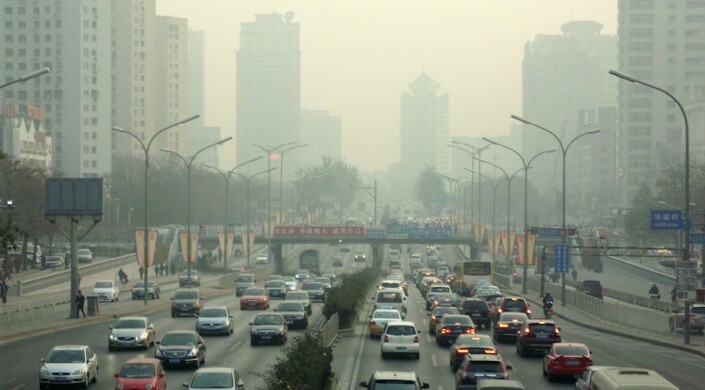 “This research offers a more nuanced strategy for reducing CO2 emissions and improving air quality in China,” said Michael B. McElroy, the Gilbert Butler Professor of Environmental Studies at the Harvard John A. Paulson School of Engineering and Applied Sciences (SEAS) and the Department of Earth and Planetary Sciences and co-author of the research. “It is critically important that electric vehicle charging is managed properly to maximize the benefits of renewables,” said Xinyu Chen, Research Associate in Environmental Science and Engineering at SEAS and co-author of the study. The researchers used real-time power demand data and driving patterns for Beijing and its suburbs to develop a comprehensive model of the energy system. They found that how electric vehicles are charged — whether in the low-energy slow mode or high-energy fast mode — plays a significant role in the integration of wind energy. Typically, vehicle charging in the 30-minutes or less fast mode occurs during hours of peak power demand. As a result, peak power demand is increased, triggering additional coal generators to come online. With these generators operational at night, the opportunity to take advantage of available wind power is reduced. “If people were incentivized to wait until evening and charge their vehicles in the slow-charge mode, which takes hours, the power load could take advantage of wind energy available during off-peak hours,” said Chris P. Nielsen, Executive Director of the Harvard China Project and co-author of the study. In terms of lowering air pollution, the researchers found that the gas- or diesel-fueled fleet of public vehicles — about 30,000 buses and 66,000 taxis — is responsible for nearly 20 percent of total NOX emissions, equivalent to the contribution from 8.2 million private vehicles. Electrifying the fleet of buses and taxis in Beijing would significantly reduce total NOX emissions and increase air quality. The research was co-authored by Hongcai Zhang, Zhiwei Xu, and Jiajun Lv. It was supported in part by the Harvard Global Institute and the Hui Fund of the Ash Center of the Harvard Kennedy School of Government.